OWN has renewed one of its original series, Greenleaf, for a third season. Greenleaf debuted last season to very strong number, and though it was down a good deal this season, it still performed solidly for the network with a 0.37 average in its first half. The series is set to return from hiatus next week, after three and a half months off. 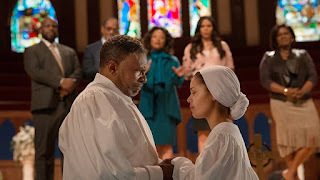 Greenleaf stars Keith David, Lynn Whitfield, and Merle Dandridge, and features Oprah Winfrey in a recurring role. Wha do you think of this news? Are you excited for more Greenleaf? Let us know in the comments!